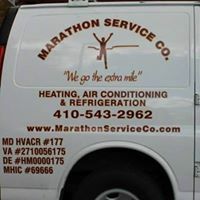 Never a complaint in the 5 years I did business with Marathon Service. They replaced an old unit and the entire process was seamless. Their price was more than fair and the quality of work was priceless. Everyone I dealt with at Marathon was respectful and true professionals. I recommend them for any of your HVAC needs. Nonya B.